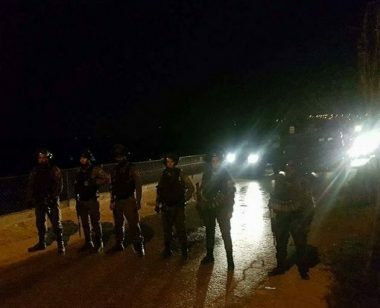 Israeli soldiers invaded, on Wednesday at dawn, the al-Walaja village, northwest of the West Bank city of Bethlehem, and demolished an under-construction home, walls and destroyed graves. 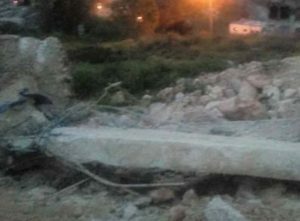 Local nonviolent activist Ibrahim Awadallah told the WAFA Palestinian News Agency that the soldiers invaded Ein Jweiza area, north of the village, and demolished an under-construction home, owned by Nader Mahmoud Abu Khiara. The soldiers also invaded a graveyard for Abed-Rabbo family, and destroyed its five graves, in addition to walls surrounding a property owned by Fayez Omar, allegedly for being built without permits. Awadallah added that the army has been frequently targeting Ein Jweiza area, demolished several homes, and is now targeting more homes and properties, to replace them with illegal colonies.